The 7-Element Obstacle course challenges you through seven different types of obstacles. Racers start this Obstacle Course diving through the wall, then squeezing through the pillar wall, around inflated side posts, scrambling through tunnels, more inflated walls and out the back to become the victor! 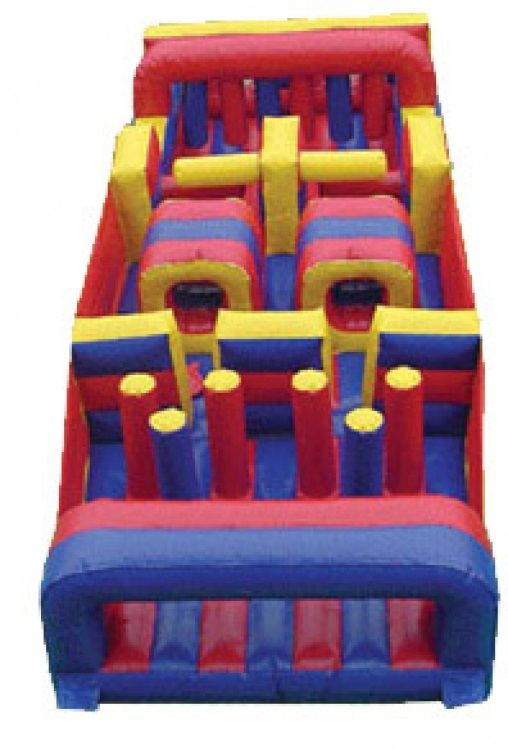 The bright colors along with its 34 foot long stature make this a guaranteed eye catcher for fun seekers of all ages. This bouncy obstacle course is the perfect way to combine fun and healthy activity, and will add value to any party. This jumper has mesh windows, so parents and spectators can have a clear view of all the fun. © 2019 Fun Time Bounces All Rights Reserved.